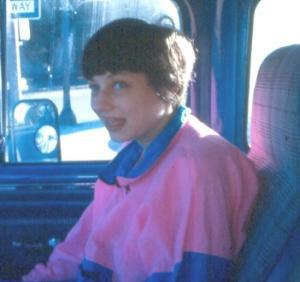 ONE DAY, IN NOVEMBER OF 2001, Nancy Golin merely wandered off from her parents, in the blink of an eye. Her parents reported her disappearance within a few minutes to police and went out all night with police searching for her, fearing abduction. Police were unable to find her, but when she found her way back the next morning on her own no worse for wear to her utter delight and that of her parents, police decided to tell her parents they were merely sending her to the hospital for a welfare check, but then instead locked her up in a Stanford psych ward for mental patients where she was severely abused and injured, and suffered medical malpractice. Psych doctors, misguided by police and deprived of her medical history, slashed her anti-seizure medications sending her into a severe bout of seizures. A neurology consult was called that restored her medication to the right levels that the parents had been administering under her regular neurologist’s supervision. When the hospital discovered its mistake and could find nothing wrong with her and wanted to discharge her, that she had been in good condition and didn’t belong in a psych ward, she should have been allowed to return home, but the state officials that harmed her and violated her rights decided instead to cover up their misdeeds for fear of a lawsuit and to justify their mistake. Nancy was never again allowed to return home to her family. Right before she was discharged from StanfordHospital psychiatric ward, where Nancy had been reported climbing into the beds of other patients and eating off their dishes, there was an event so serious that three days of hospital records disappeared and a panic meeting by phone occurred between Risk Management, the police, SARC and APS officials. Because the laws do not allow the state to simply grab someone off the street and put them away unless there is some possible form of treatment, there was no legal way to keep holding her. Local officials confessed on record that they “wished to avoid court if at all possible”, because they might lose. State lawyers declined to secretly push through an immediate petition to conserve Nancy, advising local officials to get the DA to find something to charge the parents with instead.